Knight Architects’ Design for Military Entrance Processing Station (MEPS) is a standard design for the USMEPCOM. This effort was accomplished under a multiple task order IDIQ for the US Army Corps of Engineers. These facilities will be built on military installations throughout the United States. The MEPS Facility functions as a testing and evaluation facility to determine an applicant’s suitability for, and placement within the various branches of military service. The major areas of a MEPS facility include a Control Counter, Counselor, Operations, Testing, Medical, Command, and a common area. The resulting three-wing design is organized around the Control Counter and applicant waiting room. 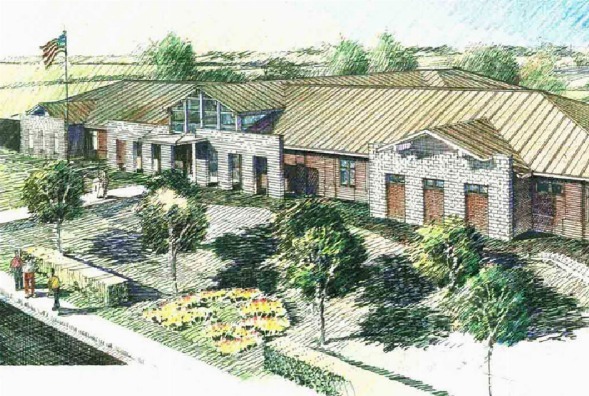 Knight Architects worked with the Norfolk District to implement a MEPS Facility based on this standard design. Knight Architects is currently renovation a 100 year old building in Massachusetts to provide a downtown Boston MEPS Facility. This Facility must meet a LEED silver rating.